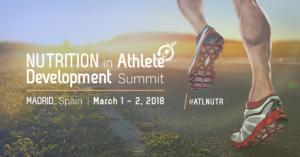 ESSNA will be attending the ‘2nd Nutrition in Athlete Development Summit’ on the 21st and 22nd of March 2019, in Düsseldorf, Germany. This Summit will serve as an excellent platform for networking with sports nutrition industry professionals. The event is organised by the Vonlanthen Group of Companies. More information about the event can be found on their website or LinkedIn page. ESSNA is delighted to announce that it has formed a new partnership with the International Sport & Exercise Nutrition Conference 2018, this year taking place in Newcastle from 18-20th December. The conference is a high-level educational event targeted at sports nutritionists, personal trainers, elite athletes, and any other professional interested in sports nutrition. The programme, which can be accessed here, has a dual theme of Performance: Exercise & Health. The world’s leading experts will give their insights into the effects of diet and exercise on health and performance, and leading international speakers will present the latest evidence and encourage discussion and interaction. ESSNA will be attending to connect with targeted consumers in the context of its consumer engagement campaign – we would love your thoughts and feedback on what we’ve done so far, what we can do better, and whether you’d like to support us. So please let us know if you plan to attend by getting in touch with mayar.raouf@whitehouseconsulting.co.uk. 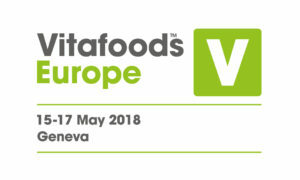 ESSNA has once again partnered with Vitafoods Europe, taking place between 15-17 May in Geneva this year. Since it first took place over 20 years ago the global nutraceutical event has grown in both size and stature, and is recognised as the place for anyone who wants to do business, source new ingredients and products, learn and network in the global nutraceutical industry. Sports nutrition has become an increasingly important focus at Vitafoods Europe. Last year saw the debut of a dedicated Sports Nutrition Zone, which proved immensely popular. This year, for the first time, the Zone will include a Sports Nutrition Theatre, the full programme of which can be found on the Vitafoods website. Terence O’Rorke, Vice-Chair of ESSNA and Regional Manager (EMEA/Asia) Certified for Sport at NSF International will present a session looking at whether standards for doping substances in sports nutrition are an opportunity or a threat for the industry, on Tuesday 15th May at 11am. ESSNA members get a range of discounts on sponsorship and exhibition opportunities, as well as a discount on the paid-for section of Vitafoods, the Education Programme. For more information, please contact the ESSNA secretariat directly via Mayar.Raouf’@whitehouseconsulting.co.uk. For further information, visit the Vitafoods Europe website. This industry briefing is the latest in a series that focuses on innovation and industry trends in sports nutrition. ESSNA and other leading experts from Europe will offer expert advice on legislation in the sports nutrition sector, as well as an overview on how mainstreaming sports presents a commercial opportunity for both food and drink manufacturers, and ingredients companies. If you’re interested in the latest trends, insights and forecast in the sports nutrition market then this is the perfect event for you. ESSNA will be officially partnering with Vonlanthen Group of Companies for their upcoming ‘Nutrition in Athlete Development Summit’ on the 1st and 2nd of March 2018 in Madrid, Spain. This innovative sports event will be focusing on the best practices and latest innovative approaches in sports nutrition dedicated to professional sportspeople and coaches, representatives of sport clubs and other units, sports nutrition and supplement providers, and producers. The practical approach is prevailing! Do not miss this opportunity to hear about nutrition guidelines from top-ranked clubs, federations, and agencies. Adding to that, hear some of the industry’s experts discuss and go in depth with their respective presentation topics. This summit will serve as a platform for networking with an excellent line-up, encompassing different sports speakers and delegates. The speakers’ board includes a range of speakers from different sporting backgrounds including football, rugby, golf, cycling, handball, tennis, Olympic sports, universities, and anti-doping agencies. Join us at this incredible summit on the 1st and 2nd of March in Madrid! More information on the summit can be found on the website or LinkedIn page. ESSNA is delighted to announce that it will be supporting this year’s Global Human Nutrition & Wellness Forum 2017 – Health Food and Supplement Special, which is taking place on November 6-7, 2017 at Fleming’s Selection Hotel Frankfurt – City. With a significant increase in the world’s elderly population as well as growing consciousness of health and wellness, the global nutraceutical and functional food market has extremely positive indicators. The value of the global health food industry will reach nearly US$280 billion by 2021, a CAGR of 7.4% from 2015 through 2021. Consumers have begun to prioritize functional food and nutraceutical consumption, not only in the developed countries, but also in such emerging markets as China, ASEAN and India. Given this background, the Global Functional Food and Nutrient Supplement Summit 2017 will be held with the goal of educating participants with the industry’s market environment. This will enable companies to pursue optimal business strategies that reflect a deep understanding of the functional food market and the nature of product development. The summit will also provide opportunities for delegates to establish business relations and to find global partners for further collaboration. The forum in Frankfurt will open with coverage of regulatory developments in key jurisdictions, with testimony from policymakers in the US, Canada, EU, ASEAN, and China. Further content will detail opportunities in emerging markets, distribution channels, consumer preferences, as well as product and ingredient trends, with input from professionals across the industry. ESSNA Vice-Chair Mark Gilbert will be giving a keynote speech presentation ‘Overview of Sports Nutrition Market and How Brexit Will Influence this Industry in UK’, set to take place on Monday 6th November at 10.45am. 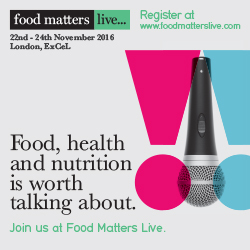 ESSNA is once again partnering with Food Matters Live , which this year is taking place between 21-23 November 2017 at the ExCeL London. ESSNA’s Vice-Chair Claudia Mucciardi will be presenting in the dedicated seminar stream focusing on ‘mainstreaming sports nutrition’ during the conference, for which more information can be found here. ESSNA will also host a dedicated sports nutrition pavilion to showcase the latest innovations in sports nutrition in the exhibitors section. For more information about the ESSNA pavilion please contact the ESSNA secretariat on mayar.raouf@whitehouseconsulting.co.uk or telephone 0207 463 0698. For members interested in participating in the pavilion, please contact the secretariat or the Food Matters Live team directly via David.Ventris-Field@foodmatterslive.com / Tel: +44 (0) 20 3735 5960. Conference Series successfully hosted the 17th International Conference on Food & Nutrition during May 22-24 2017, at Las Vegas, USA. The conference focused on the theme “Accelerating Research and Innovation in Food & Nutrition”. The conference was successful in gathering eminent speakers from various reputed organizations and their paramount talks enlightened the gathering. Food & Nutrition 2018 is one of the Food meetings which aims at bringing all the food technologists, food professors, young researchers, students, companies, industries under a single roof at the conference. This Conference will bring together practitioners, industrialists, researchers and educators from around the world who are engaged in the fields of indigenous food products, food safety, functional foods, bioactive ingredients, nutritional factors, public health, traditional and alternative medicine, dietary management . Food & Nutrition 2018 will bring together world-class professors, scientists and industrialists under one roof. Food conferences, Food meetings, Food events will highlight significant developments in research and innovations in agricultural, food, nutritional, pharmaceutical and medical technologies, with an emphasis on health and wellness. The event will also offer 13 panel tracks, providing you with plenty of choices where you can submit your proposal. They are Food Science, Food Technology, Food Safety & Management, Food & Beverages, Food Microbiology, Food and Economy, Nutrition, Nutraceuticals & Nutrition Supplements, Clinical Nutrition, Malnutrition & Undernutrition, Dieticians & Nutritionists, Obesity and Public Health Research. Take advantage of three days’ worth of intensive presentations in over 50 sessions offering a comprehensive selection of topics. You’ll learn from leading experts–and a collection of your peers. The Food & Nutrition 2018 conference program is organized across dynamic conference tracks designed to help you focus on research and issues that are most important to you. 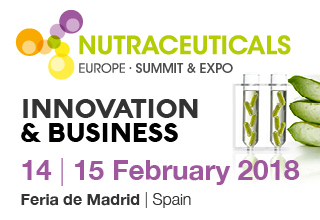 ESSNA is pleased to announce that it has renewed its partnership with Nutraceuticals Europe Summit and Expo for 2018, taking place in Madrid on 14th and 15th February. Nutraceuticals Europe Summit & Expo is the international event for the industry of functional ingredients and novel ingredients, and the professional meeting point for producers, distributors and its customers. The event has two different perspectives. The first is a conference, Nutraceuticals Europe Summit, that combines the analysis of trends, scientific innovation and training, through academic content, with internationally recognised expert speakers. The second is the Nutraceuticals Europe Expo, an exhibition where manufacturers of ingredients, distributors and manufacturers of nutraceutical products meet. Members of ESSNA are entitled to a 20% discount on the registration fee for the conference – please contact the event coordinator, Tatiana Montes, directly via tmontes@aude-events.com to register. For more information and the conference programme, please visit the website: http://www.nutraceuticalseurope.com/. Proven annual sport and active nutrition industry and networking platform. Target audience: Sports, Weight management, (Health) Food industry, Beverage and Bars industry. Participation: 200+ experts. Exhibition: 40 places. Brands & Retail: The Hut Company, Supplify, Norrmejerier, Body & Fit, Glanbia/ON, Scitech, Enervit, Nutriendo, Ecoceutricals, Enervit, Gymgrossisten, Atlantic Multipower, Dawn Meats/Fori and many others. Co-manufacturers: Aminolabs, Uelzena/nutrineo, Glanbia, VSI, Prinsen, Enervit, Sternlife, Atlantic Multipower. You can learn a lot during the Business & Strategy Track from the how retail leaders think about consumer needs, stage of the industry, growth opportunities, threats and challenges. Speakers and panel member will are a.o. : BioTech USA (Hungary), Bulk Powders (United Kingdom), Houlihan Lokey (United Kingdom), Lucozade Sport (United Kingdom), GenR8 (USA), Spoon Guru (United Kingdom), Periscopix (United Kingdom), Motivaction (Netherlands), ConversionMob (The Netherlands), Hey Nutrition (Germany), Omnimind (Netherlands), Bio-Synergy (United Kingdom), Arla (Denmark), NSF (USA). The Research & Innovation Track will have presentations from: KappaBio (Norway), Lucozade (United Kingdom), Maastricht University (The Netherlands), Gelita AG (Germany), Friesland Campina (The Netherlands), Liverpool John Moores University (UK), OmniActive Health Technologies (USA), Rousselot (Netherlands), Uelzena (Germany) and from the University of Bath (United Kingdom) Please enjoy reading more on the programme. ESSNA Vice-Chair, Suzane Leser, will be representing ESSNA and taking part in the event’s concluding panel discussion which will review outcomes of the Plenary, Track I and Track II at 13.45 on 14th June. ESSNA is pleased to announce its official partnership with Elite Sports Performance & Rehabilitation Expo 2017, which returns on the 7th and 8th June 2017 to the ExCeL London in what is promised to be two world-class days of innovation, development and opportunity. As Europe’s leading elite sports event, the Elite Sports Expo will attract over 1,500 trade and professional visitors over its two-day run. Seminars and workshops hosted by industry leading professionals and experts will help you find the 1% difference between winning and losing, so that you/your team/your athletes can perform and recover better, faster and stronger. Among the 80 seminars you’ll find Leicester Tigers superstars Matt Parr and Pete Burridge. Parr will be talking about how his experience playing for Saracens, London Irish and Leicester Tigers has informed his coaching at all of these clubs and the lessons he learnt that can be of benefit to other coaches. Burridge will be talking about the importance of balancing the stressors put on aspiring players, in order to maximise performance development. British Rowing legend, Hannah Lawton will also be hosting two seminars at the event. The first exploring the reliability of Talent ID in predicting elite athletes, and in the second she’ll be shedding light on what she learned about the mentality of overcoming failure when her attempt to row the Atlantic in 2013 was beset by a series of problems. This year, Hannah prepares to complete the voyage with the charity group that she co-founded, Inspirational Friends. She will also be bringing the actual boat that she will row across the Atlantic this year to the Elite Sports Expo itself! Among the 150 top suppliers you’ll find industry giants Woodway, creator of the revolutionary Woodway treadmills and distributors of Wattbike and SciFit. Used and trusted by the NFL, NBA, Major League Baseball, and the United States Marine Corps they’re one to look out for, catch them at stand #2100. In addition, don’t miss the world renowned Technogym – a leader in the Fitness and Wellness solutions sector it is estimated that around 35 million people use Technogym products every day. As well as bringing some of their brand new releases and fitness tech, they’ll have top experts from their Total Wellness Solution at the show. You’ll also find a range of performance analysis pros including elite analytics from FirstBeat to High-Speed, Slow-Motion cameras from The Slow Motion Camera Company. And you can’t forget about top biomechanics experts Velamed and advanced clothing tech from Deko Sports, plus many many more! Live, interactive demos give you the chance to get stuck in and trial new development and tech from the field. Equally, with UK exclusive product launches and seminars from leading experts from the elite sports world, you can stay ahead of the game and ahead of your competition. Your free Elite Sports Expo ticket will also grant you entry to our adjoining shows: COPA and the European Neuro Convention. All shows are CPD accredited and offer relevant opportunities from the worlds of neuro and physical rehabilitation. ESSNA will feature prominently at this year’s Vitafoods Europe, and has formed an official partnership with the organisers of the event. 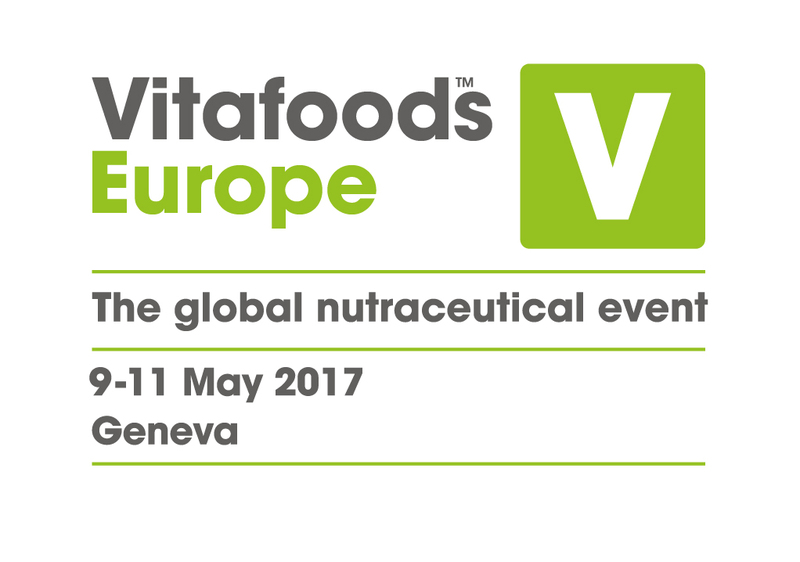 Vitafoods Europe, taking place between 9 and 11 May in Palexpo, Geneva is the global nutraceutical event. Since it first took place over 20 years ago it has grown in both size and stature, and is recognised as the place for anyone who wants to do business, source new ingredients and products, learn and network in the global nutraceutical industry. Sports nutrition has become an increasingly important focus at Vitafoods Europe. Last year saw the debut of a dedicated Sports Nutrition Zone, which proved immensely popular. This year, for the first time, the Zone will include a Sports Nutrition Regulatory Advice Service organised in association with ESSNA – which will provide specific advice on sports nutrition supplements. Visitors to Vitafoods Europe can book an appointment for a one-on-one consultation with ESSNA now on the Vitafoods website. The partnership reflects the growth of sports nutrition as a category, as well as the growing demand for advice about regulation. Last year the EC decided that sports foods can be covered by General Foods Law provisions and that there was no need for specific EU sports nutrition regulation. Dr Adam Carey, Chair of the European Specialist Sports Nutrition Alliance, will be examining the implications of that decision in a panel discussion on Vitafoods Centre Stage titled ‘A New Era of Innovation in Sports Nutrition’. Additionally, Stuart Shotton, Vice chair of ESSNA and Head of Nutrition and Regulatory Affairs at MyProtein, will present a session explaining how the EC’s report will affect nutrition businesses. He will explain the actions ESSNA took to guide EU-decision-makers along this long – and often winding – road, as well as looking ahead to what’s next for the sports nutrition industry. Visitors to Vitafoods Europe will also find a wealth of other information in the Sports Nutrition Zone. There will be opportunities to talk to experts, a Sampling Bar, Product Showcases, Infographics and iPad presentations. ESSNA will be hosting its Annual General Meeting for members on 25th January 2017. This will be followed by a networking lunch and Food Matters Live / ESSNA industry briefing, open to both ESSNA members and non-members. To register your interest, please email jacinta.kerr@foodmatterslive.com. Speakers will include ESSNA Chair Dr Adam Carey, Dr Fernando Naclerio, Principal Lecturer in Strength Training and Sports Nutrition, Department of Life and Sports Science, University of Greenwich (UK), Neil Whippey, Co-Founder at Eat Grub Ltd and James Read, Founder at Giant Peach. 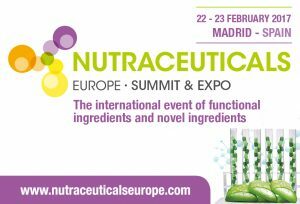 ESSNA is delighted to announce its partnership with Nutraceuticals Europe for its Summit & Expo taking place in Feria de Madrid from 22 to 23 February 2017. Nutraceuticals Europe Summit & Expo is the international event for the industry of functional ingredients and novel ingredients, and the professional meeting point for producers, distributors and its customers. Members of ESSNA are entitled to a 20% discount on the registration fee for the Congress – please contact the ESSNA secretariat directly via mailto:Mayar.Raouf@whitehouseconsulting.co.ukor 0207 463 0698 for more information. ESSNA is delighted to confirm its partnership with Nutraingredients.com for the forthcoming 2016 Sports Nutrition Conference on Innovation and Opportunity in Sports Nutrition. This will take place in Frankfurt on 28th November 2016. The exciting programme for this event covers multiple fields, from the cutting edge products changing performance, to the nutrients driving the sector, the marketing campaigns that matter and the regulations everyone must play by. The conference takes place the afternoon before the Health Ingredients Europe trade show in Frankfurt and is fully endorsed by UBM. Further information will be provided shortly and more details can be found at the event’s website. Taking place on Friday 16 September, Food Matters Live and the ESSNA will host an industry briefing in central London to discuss the rapid changes in the sports nutrition industry. The briefing will cover the regulatory and legislative changes in Europe that are helping the industry, the tentative moves into the mainstream that have already been seen and the opportunities that are there for businesses in the sector to make that breakthrough. Join us to learn about the new laws, new consumers and new products that are driving the growth of this innovative sector. More information, including timings and speakers, will be confirmed shortly. Please check back for updates. To register to attend please either contact the ESSNA Secretariat via mayar.raouf@whitehouseconsulting.co.uk or email kylie.robertson@foodmatterslive.com. 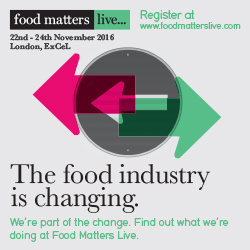 ESSNA is once again partnering with Food Matters Live , which this year is taking place between 22-24 November 2016 at the ExCeL London. ESSNA’s Vice-Chair Mark Gilbert will be presenting in the dedicated seminar stream focusing on ‘mainstreaming sports nutrition’ during the conference, for which more information can be found here. ESSNA will also host a dedicated sports nutrition pavilion to showcase the latest innovations in sports nutrition in the exhibitors section. Participants already include Future Nutrition and DCC. In addition Gelita, Cornelius and Cambridge Commodities are among other ESSNA members participating at Food Matters Live 2016. For more information about the ESSNA pavilion please contact the ESSNA secretariat on mayar.raouf@whitehouseconsulting.co.uk or telephone 0207 463 0698. For members interested in participating in the pavilion, please contact the secretariat or the Food Matters Live team directly via Andrew Little on andrew.little@foodmatterslive.com or telephone 020 3735 5960. The European Specialist Sports Nutrition Alliance (ESSNA), official partner of the European Week of Sport (7-13 September), will be running and attending a number of events to promote the week. The Week is an initiative run by the European Commission across all 28 EU member states, and its aim is to promote sport and physical activity across the European Union. The European Week of Sport will include hundreds of themed events and activities, such as conferences, festivals, education days and sports tournaments, organised by public authorities, the sport movement and the private sector, among many others, to inspire the public to build an active society. ESSNA will be attending the flagship event as well as running various other projects, more details on which will be confirmed shortly. ESSNA is delighted to announce that it is now an official partner of the House of Sport, an informal gathering of now 20 associations with an interest in sport, organised by the Federation of the European Sporting Goods Industry (FESI). ESSNA will be present at the House of Sport’s conference on 12th-13th September, to coincide with the European Week of Sport. Please click here for more information, and please note that we will continue to update the website as more details are confirmed. ESSNA has partnered with Bridge2Food for its 6th Performance and Sports Nutrition conference taking place in Amsterdam from 14-16th June 2016. ESSNA will be holding its quarterly members’ meeting at 3pm on 14th June, followed by a drinks and networking reception open to all from 6pm. ESSNA’s officers and experts will also be presenting from 13:50-15:20 on the 15th June, on ‘The Regulation of Sports Nutrition in the EU – At the Crossroads’. Speakers will include ESSNA Chair Dr Adam Carey, ESSNA Vice-Chair Suzane Leser and Dopingautoriteit representative Erik Duivan. For more information on the event and a full programme, please click here. ESSNA is attending the ‘2nd Nutrition in Athlete Development Summit’ on the 21st and 22nd of March 2019, in Düsseldorf, Germany. This Summit will serve as an excellent platform for networking with sports nutrition industry professionals.